We Make Custom Air Conditioner Covers, Swamp Cooler Covers, Grill Covers, Fire Pit Covers, Window Air Conditioner Covers. 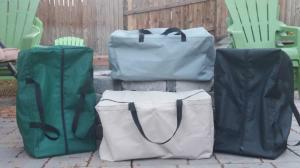 We are offering Colorado Tuff™ storage bags for easy and secure storage of your outdoor covers. Available in four complimentary colors: Black, light grey, dark green and toast. As always, only the best materials are used for long life and consistent service. 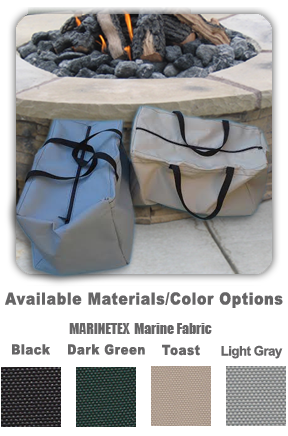 Our storage bags measure a generous 21W"x12D"x11W", large enough for typical AC, grill, swamp cooler and fire pit covers. Feel free to call or email for more information.